Twenty years ago today was a very cold, snowy morning. My husband and I had carefully traveled the icy roads late the evening before in anticipation of our oldest son’s arrival. He wasn’t due for another two and a half weeks and I wasn’t in labor, but my water bags had broken and my doctor suggested I come to the hospital. We didn’t relish the idea of rushing through more snow in the early hours of the morning so we left late that night. I tried everything I could think of to get my labor started, but it was past midnight and nothing was happening. I reluctantly agreed to pitocin. I assumed that my labor would be long, so when the pains became intense very quickly, I decided to try an epidural. The anesthesiologist was with another patient and by the time he began giving me the epidural, I felt a strong urge to push. I was fully dilated and ready to give birth. Shortly after 5 in the morning, I gave birth to my first-born son. He was one ounce over six pounds, and the most beautiful baby I had ever seen! My heart filled with love as I held him close and nursed him for the first time. With the thoughts of joy, however, came thoughts of fear and inadequacy. How could I ever possibly teach this baby all he needed to know for life? Would he learn to love God and treat his fellow man with kindness and respect? As the years passed, I tried to imagine what my son would look like as a grown man, and what he would become. Despite my mistakes—and I made plenty of them—my son John grew up into a fine young man. My only regret is that this is the first birthday that I can’t give him a birthday hug and kiss. I can’t make him a special birthday meal or a birthday cake. You see, my son is part of the United States Army, and his unit is currently serving in Afghanistan. It hasn’t been easy, but he is fulfilling his duty to his country, and I couldn’t be more proud of him. He also received his E-4 promotion today on his birthday, which makes him a specialist. 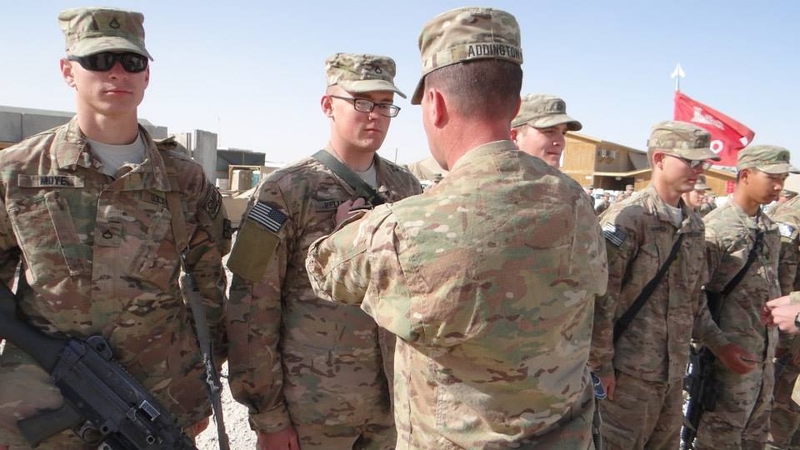 Congratulations, Specialist John Maynard Keller, and happy 20th birthday! How does a mother feel about letting her son go out of her protective arms and across the world to a dangerous situation? Carried in His Arms. describes the emotional struggled I encountered as the day of my son’s departure drew near and how God sustained me during that time.